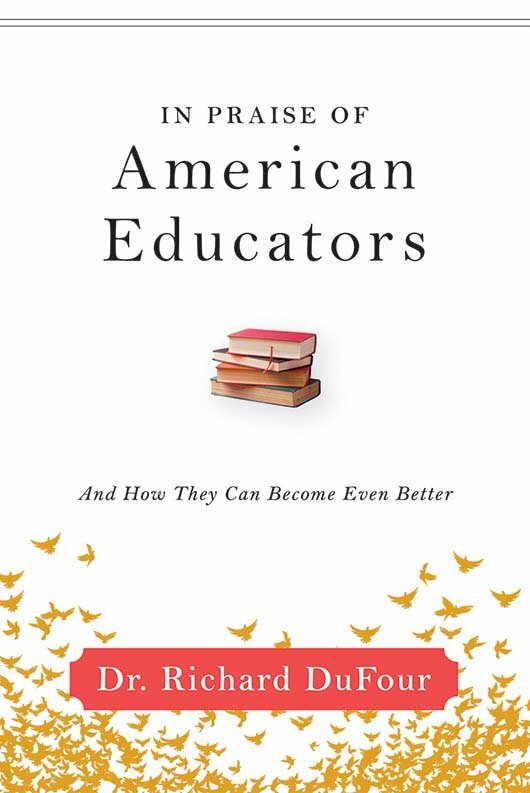 Dr. DuFour candidly discusses hot-button issues surrounding the U.S. education system, including student testing, public school privatization, and more! This book grew out of frustration. I was frustrated that politicians and the media seemed to be waging an increasingly aggressive war not just on the public school system, but also on the educators within it. Their characterizations of teachers and principals have been inaccurate and unfair. But I was also frustrated that educators too often have either ignored educational processes that clearly have a positive impact on student achievement or have applied those processes in a halfhearted way. So this book is intended to influence policymakers at all levels and to defend and applaud contemporary educators at the same time that it challenges them to do more. I felt it was the right time for this book for two reasons. First, the attacks on educators seem to be increasingly strident and blatantly unfair. Second, I am battling a serious health problem and know that my time to influence the profession is limited. Why must every educator read this book? Today’s educators need to know that contrary to what is passing for conventional wisdom, they are the greatest generation of educators in American history by almost every measure of student achievement. They also need to know that the stakes for students who are unsuccessful in the K–12 system have never been higher. Finally, they need to know that there is a great deal more they can and must do to promote student success that lies within their sphere of influence. This book presents compelling evidence for each of these points. Teacher evaluation: Who has a clue?